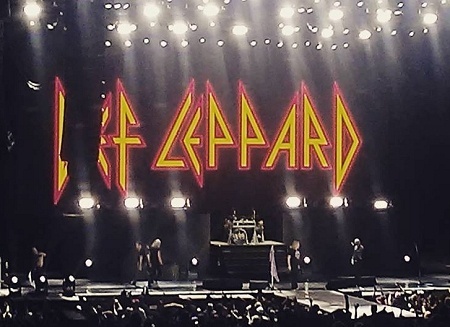 Def Leppard played another show on the 2017 North American Tour last night in Salt Lake City, UT with 17 songs performed. The show took place at the 20,082 capacity USANA Amphitheatre. 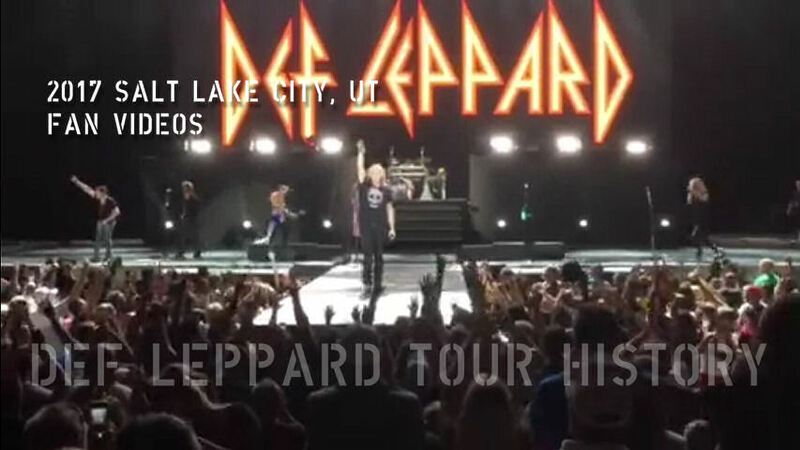 The band last played Salt Lake City on 16th September 2016 on the Summer Tour 2016. The 18th show the band have played in Salt Lake City or West Valley city (where this venue is located). The first visit to Salt Lake City took place in October 1981 with Blackfoot at the Salt Palace during the High 'n' Dry tour. They returned to that venue in August 1983 on the Pyromania tour for their first headline show in SLC. 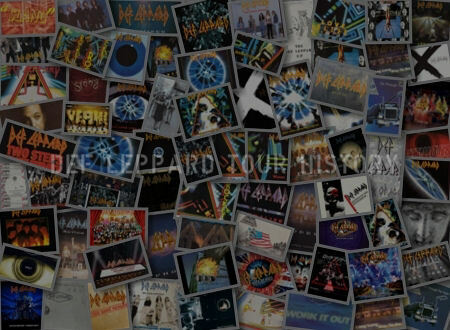 It was played three times in December 1987 (x1) and October 1988 (x2) for In the Round shows on the Hysteria tour. 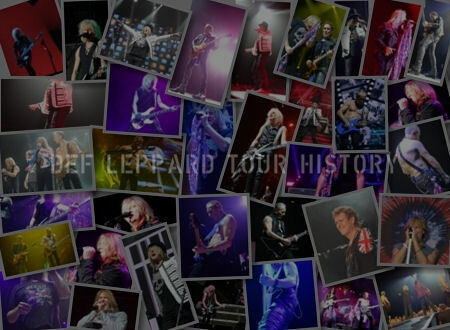 A fourth In the Round show followed on the Adrenalize tour in September 1992 at Delta Center. After a seven year gap they played at the Jon M. Huntsman Center in December 1999 headlining a radio sponsored show with Train, Shaggy and Jessica Simpson opening. A second Euphoria tour show took place in September 2000 at the Utah State Fair followed by the last indoor show at The E Center in December 2002 on the X/Ten tour. 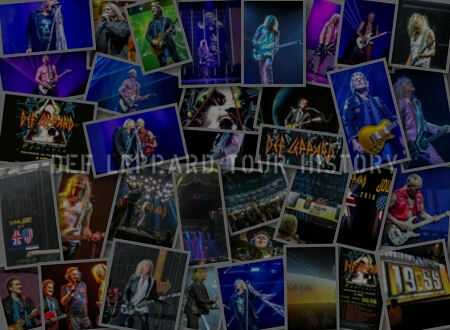 The run of shows at USANA Amphitheatre began in August 2006 on the YEAH! tour. Further visits took place in 2007, 2009, 2011, 2012, 2014, 2015 and 2016 before last night's return. 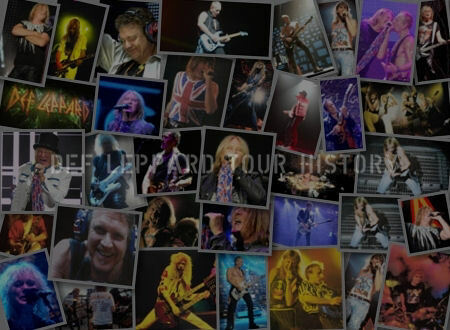 The 20th June 2012 show here was the opening night of the second Rock Of Ages tour with Poison and Lita Ford. The same set as played at the 2016 show. The sixth show in a row at this venue to sell out. "Well look at that. OK this is something that we've started to do every night but I've got a feeling that tonight's gonna be very magical. Can we turn the lights down please Kenji. Everybody get your cell phones out and let's light this f**king place up and see what it looks like. We will put this on the website later on so you can see yourselves. And by the way you don't have to go quiet. Oh yeah!. Look at that. That's a beautiful thing. Thank you very much Salt Lake City, Utah!. Wow. It's like Christmas man, beautiful. And by the way, what a noise you are making. Do you think you can make maybe just a little bit more. For the boy at the back here. Stand up Rick Allen!. As ever he will as always introduce this one for ya." "Salt Lake City, Utah!. Thanks for having us. Thanks for coming. Thanks for being here. See you next time. Goodnight." "Thank you so much really, amazing!. It's a beautiful thing Salt Lake City. Thank you. Until next time, and there will be a next time!. Till then do us a big favour. Don't forget us and we won't forget you. Goodnight." The next show takes place on 21st June in Kansas City, MO.